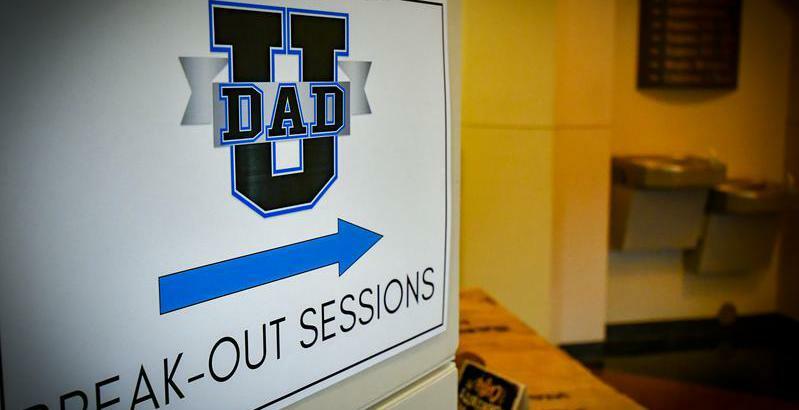 Suit Up Ministries - DADs...We Must Get Over Ourselves! DADs...We Must Get Over Ourselves! In loss you can either become embittered or enlarged. Why must we sometimes experience a painful life changing event to get over ourselves? To have the ah ha…or the realization that we are not the first OR only one to experience this pain or sorrow or life stage? Because we live in world all about us! When I took my daughter to college…I called my dad…and asked him..."how did you do this?" When I gave my daughter away in marriage…I called at my dad…and asked..."how did you do this?" When I realized how important it was to live close to my new granddaughter…I called my dad…and asked..."how did you do this? When my dad died…this past September 3. In the darkness of my dad’s absence I became suddenly more empathetic…One of the first persons I apologized to was my wife…who had lost her dad the year before. I asked her..."how do you do this?" I just thought she was ok. Was strong. In my pain I felt her loss. God feels our pain too. He gave His one and only son for us. For you and for me. He knows the depths we sometimes travel. He hears our crying out. He wants us to reach for HIM. Six packages wrapped. One size fits all! Will you unwrap them TODAY? If you go back and study the 6 scriptures I gave you, (and I challenge you to do so) and you put together the first letter of each book…Revelation; Ephesians; Matthew; Acts; Deuteronomy; Ezekiel…it spells REMADE! My brothers…my precious brothers…DADs...YOU HAVE BEEN REMADE. Victory to you my brothers! DADs…open your gifts and receive the victory God has already won for you and for me! #6words…I love you. I need you. #vcl…you are Valuable. Complete. Loved.